"Chelsea boots were designed for Queen Victoria, who wore them everywhere. Then, in London’s swinging 1960s, youngsters wore their pairs around the Chelsea area – hence the name. They never went out of fashion, but are definitely having a moment, which we celebrate with an extra lightweight version. Try yours with tailored trousers and a merino knit for a groovy look." 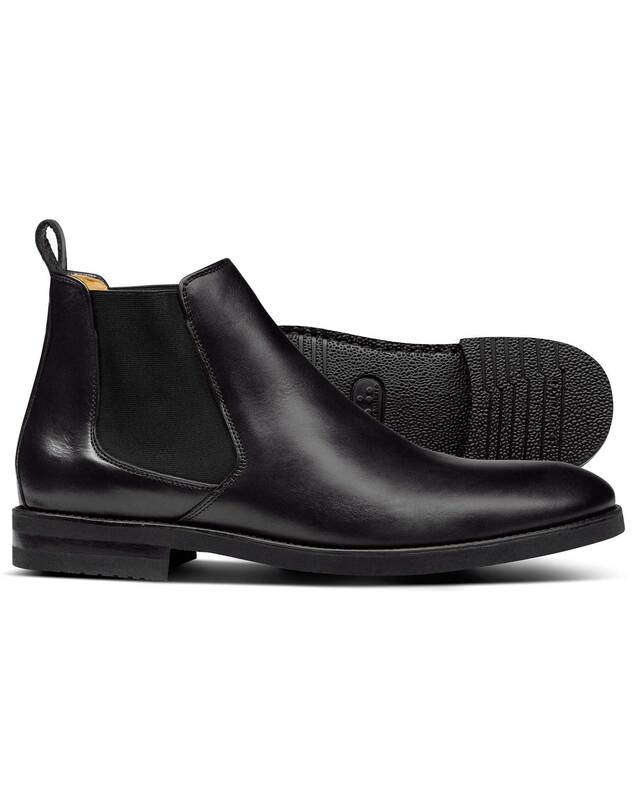 "Classic leather Chelsea boots with extra lightweight rubber soles for day-long comfort."